After eleven years of flight testing B-47s and B-52s in Wichita Kansas, I decided that my best future with Boeing was to transfer to Seattle and get into piloting the new transport airplane. My boss at Wichita offered me the opportunity. My decision to move to Seattle was not a popular one, especially with my wife. She had lots of relatives in Kansas City. Her comment was “Seattle is so far away from everything.” The kids were a little upset but soon adjusted to the plan. I wanted to continue to fly airplanes and I thought the future for me was in Seattle. By attending management meetings, I learned that Wichita was not going to get to build civilian transport airplanes. At one time, the top management in Seattle said, “Wichita, you’re on your own”. So the Wichita management returned with “OK, we want to build a turbo prop transport” and the management in Seattle said, “You can’t do that”. Boeing paid for our move. It was not fun. The movers broke a few things and lost a few others. I had to move two cars so I took one up to Seattle to look for housing. I was shocked to find that houses in Seattle were at least 25% higher than similar homes in Wichita so I was taking a cut in pay as I was transferring at the same salary. Also, I found out that things at Boeing in Seattle were not that great. They were selling 707s but not as much as they had hoped. 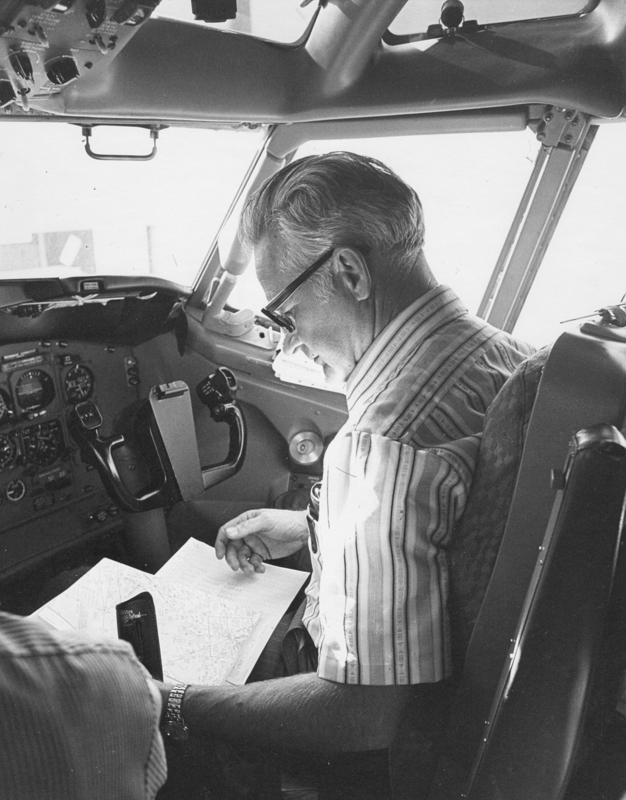 I’m surprised that Dix Loesch, the Flight Test Manager agreed to take me on. I don’t know why my boss in Wichita found me a job in Seattle. Maybe he wanted to get rid of me? My new boss told me I was not going to be an engineering pilot at Seattle. I was going to be a production test pilot. I was disappointed, but at least I would be a pilot. Then I began to wonder about that. There was not much flying available at the time and I needed to practice to get rated in the 707. At Wichita I didn’t get ILS (Instrument Landing System) practice flying B-52s because it didn’t have that capability. I practiced in the 707 as much as I could and finally told my boss that I wanted to take my check ride. His comment was “OK, but don’t fail it”. That sounded scary. I took my check ride on Friday and passed. The following Monday four pilots were laid off. I was not one of them. After the check ride, there still wasn’t much flying. I got checked out in the KC-135 and that helped. One of the reasons given for two pilots getting laid off was that they didn’t participate in flight crew training so I decided I had to get into that. The first opportunity came with the Australian program.